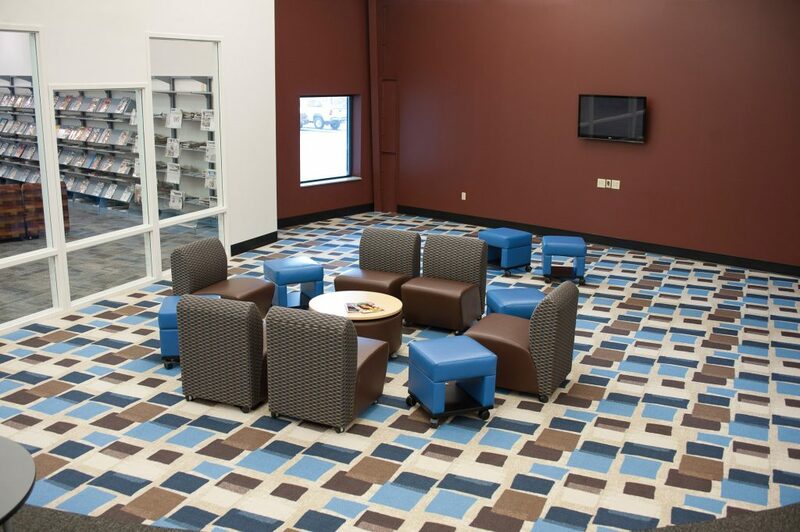 The new plan consisted of a complete interior renovation of the existing 33,972 square foot building. 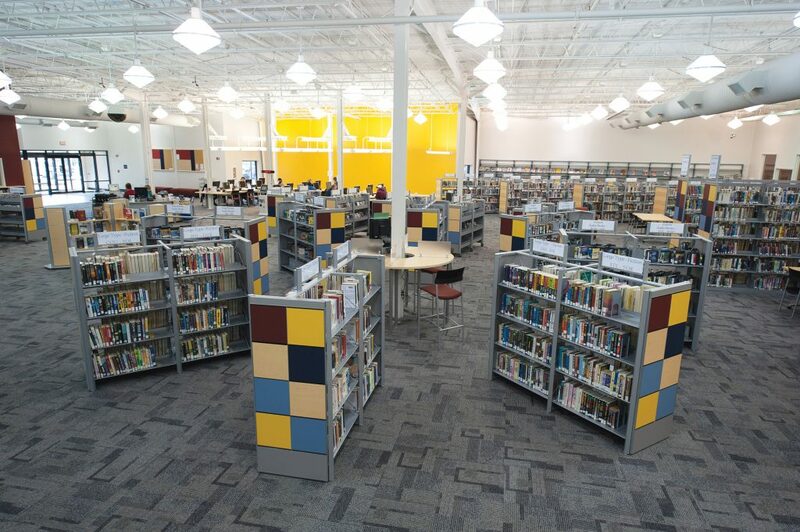 Walls were removed at the entry to open up the space and make room for a combined service point, self-check stations and a larger area for public computer workstations. 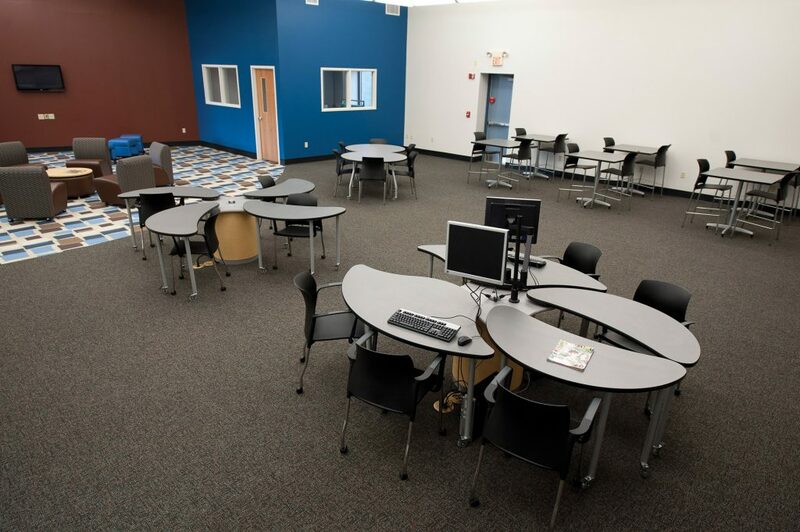 Additionally, storage space was converted to create small meeting rooms and an expansive Teen Space. 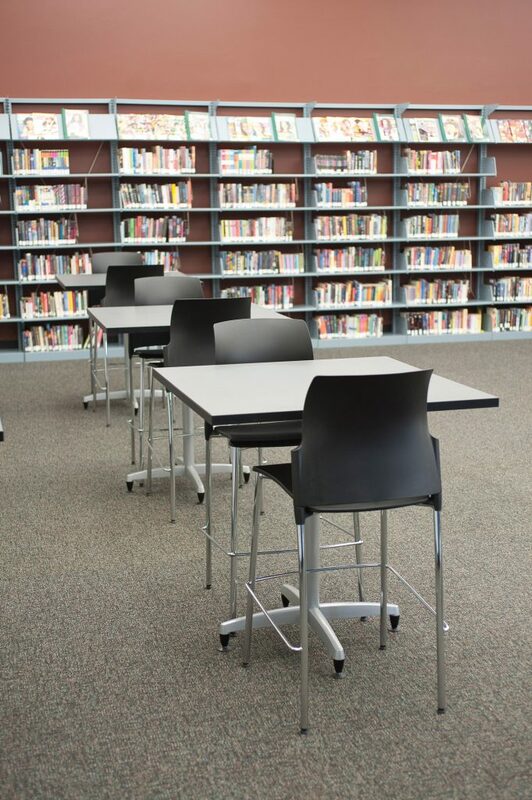 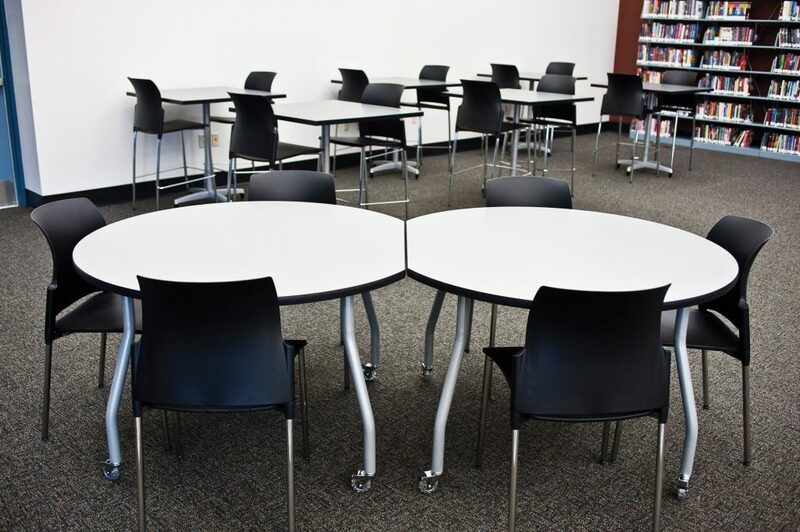 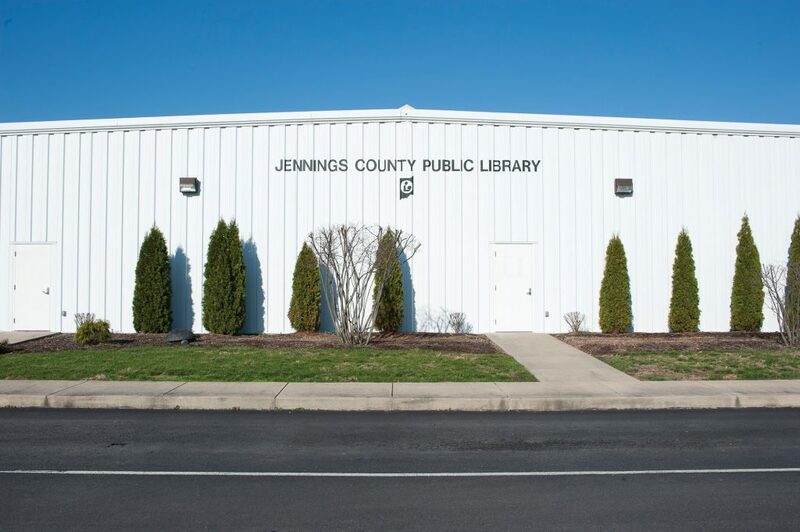 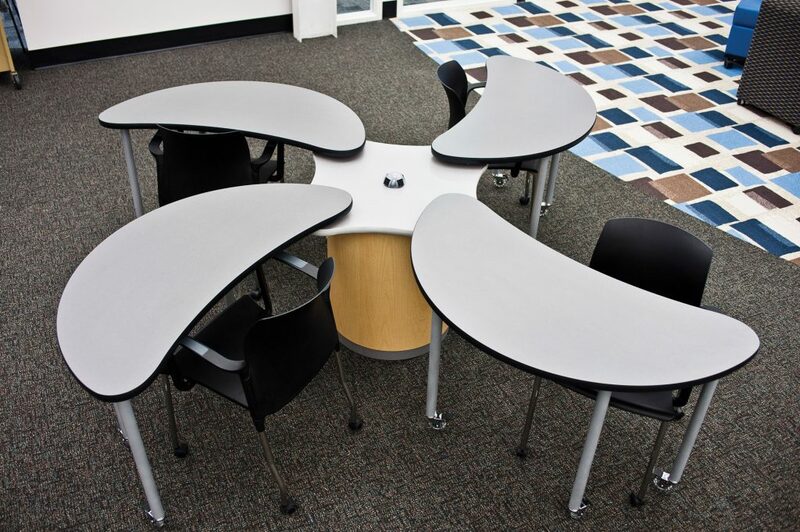 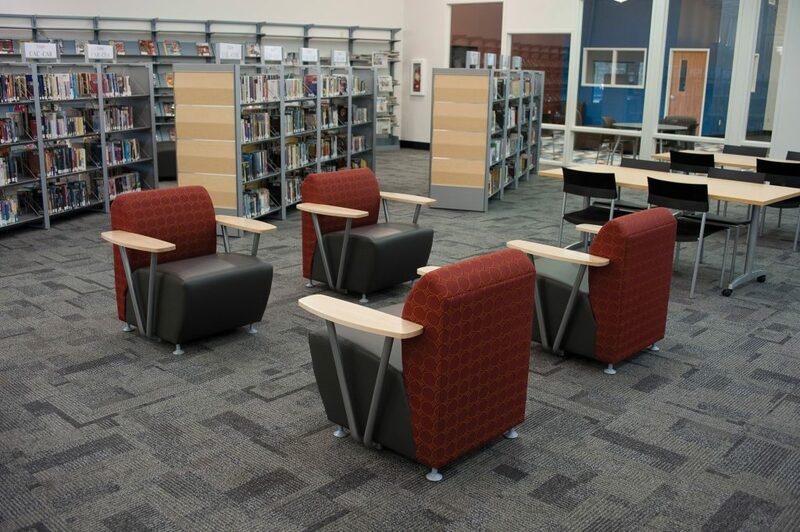 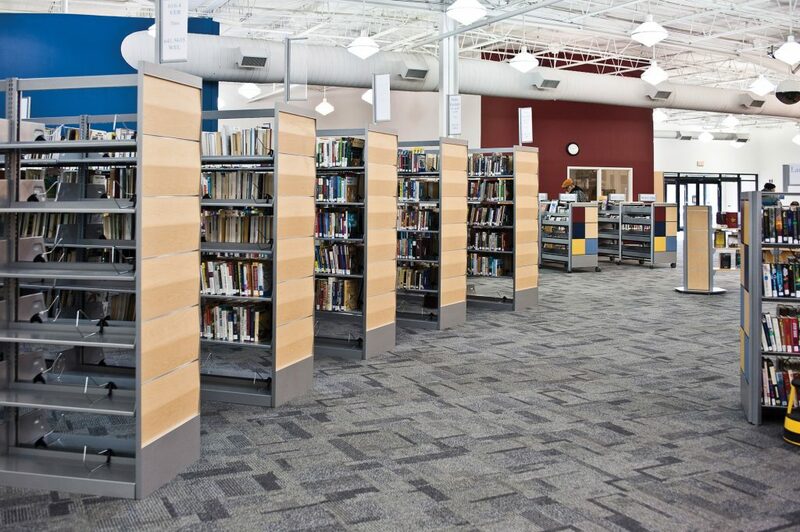 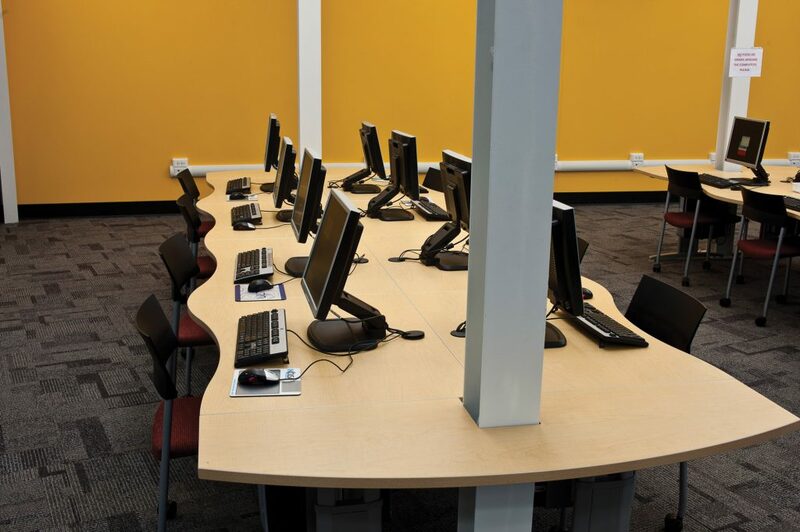 Based on Kimberly’s plan, Demco assisted the library in selecting flexible and functional furniture. 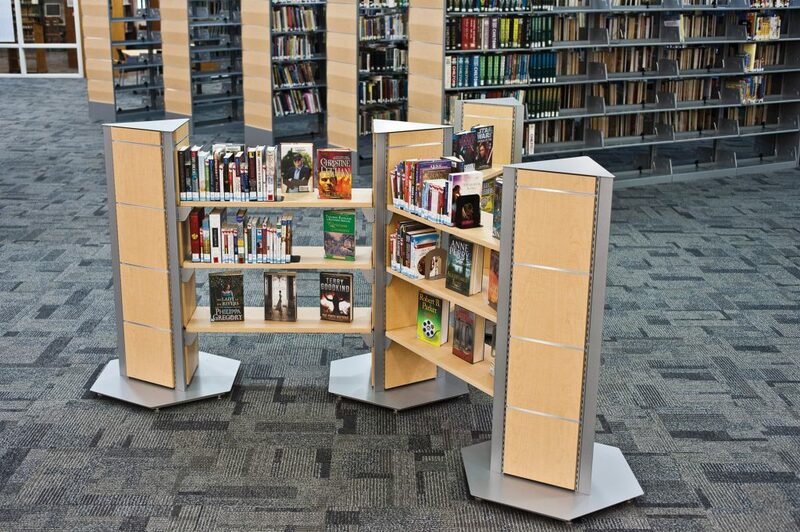 With a bit of a modern flair, the sleek TotaLibra Shelving and Furniture system ties the library together, as elements of the system are used in various spaces throughout. 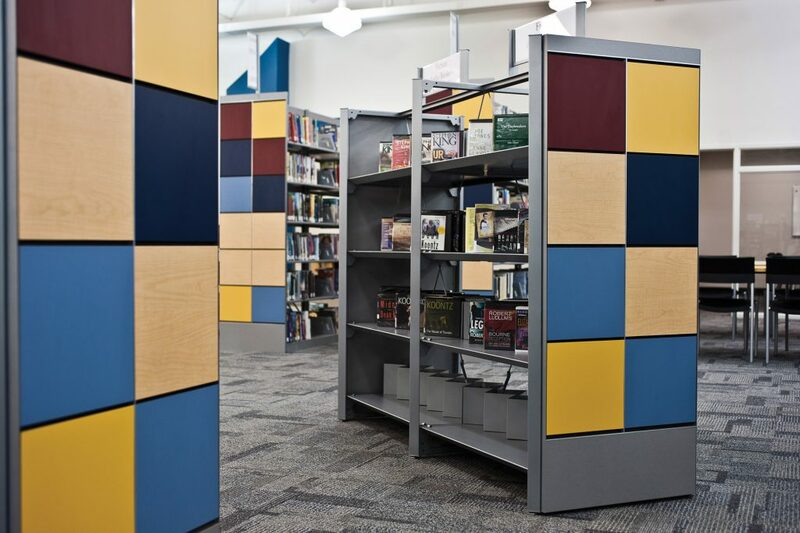 TotaLibra Modular End Panels add color to the space, while unique TotaLibra Displays and integrated signage make it easy for customers to find what they are looking for. 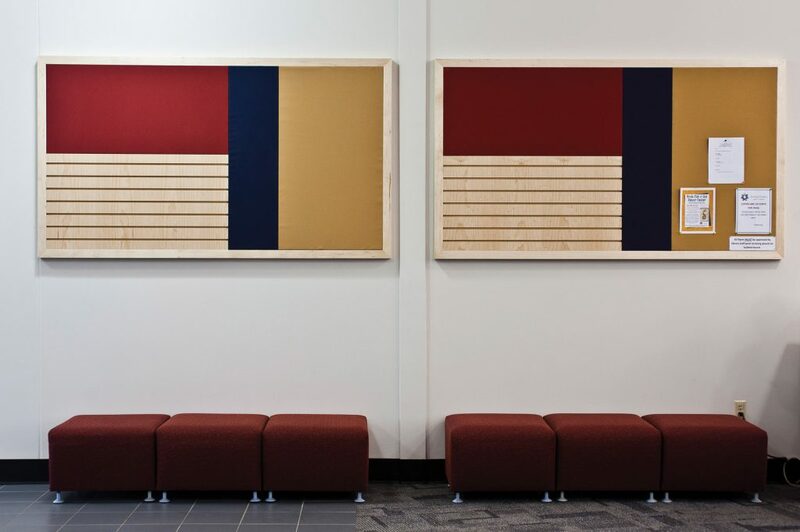 Custom wall panels near the main entrance provide a combination of slatwall and tackable surfaces. 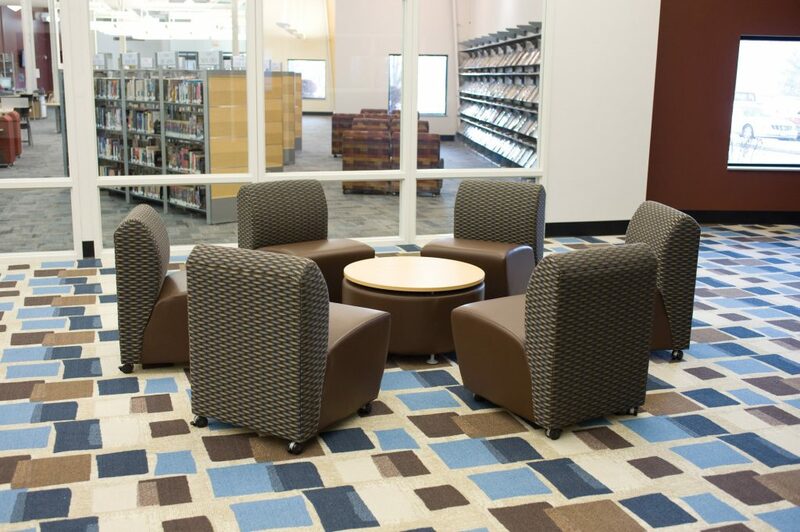 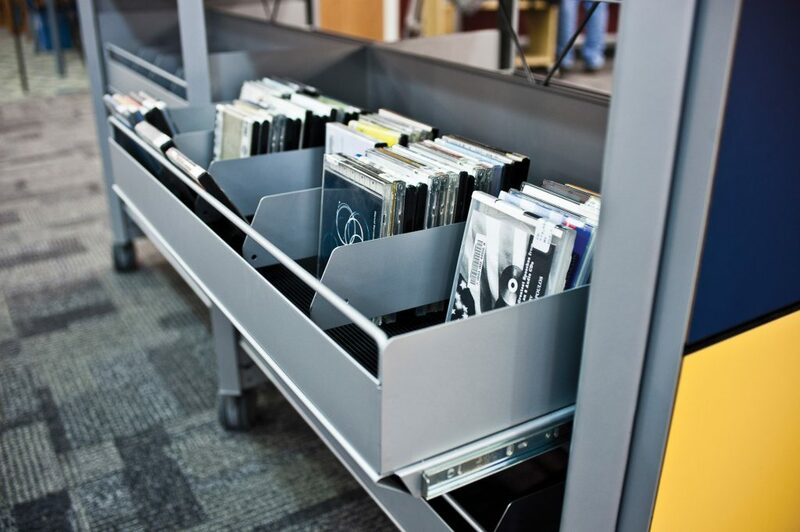 Areas with mobile tables, seating and shelving allow the staff and patrons to rearrange the space to accommodate programs and provide a social atmosphere to meet and collaborate. 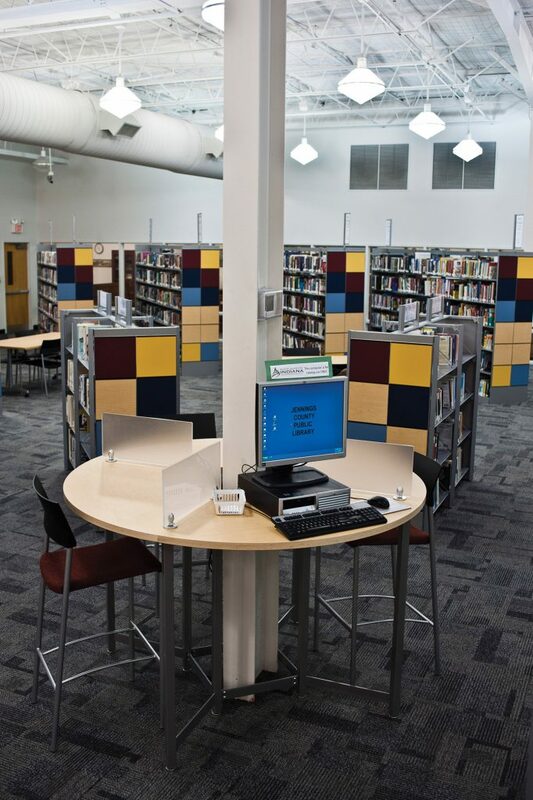 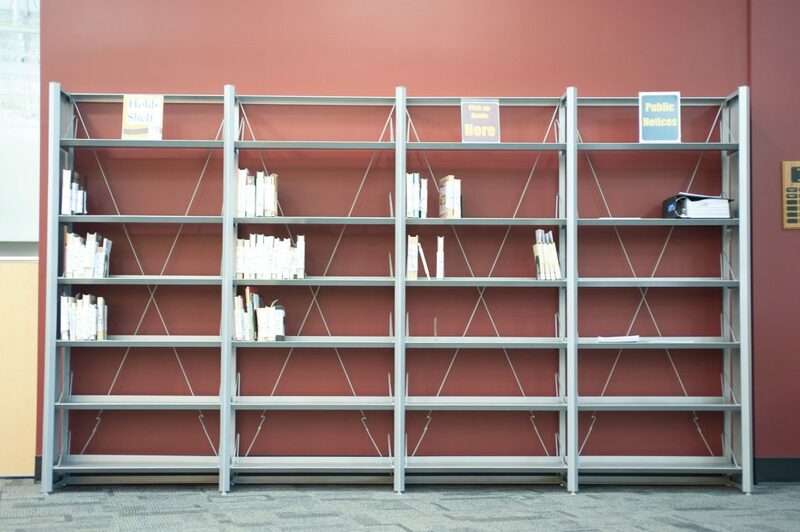 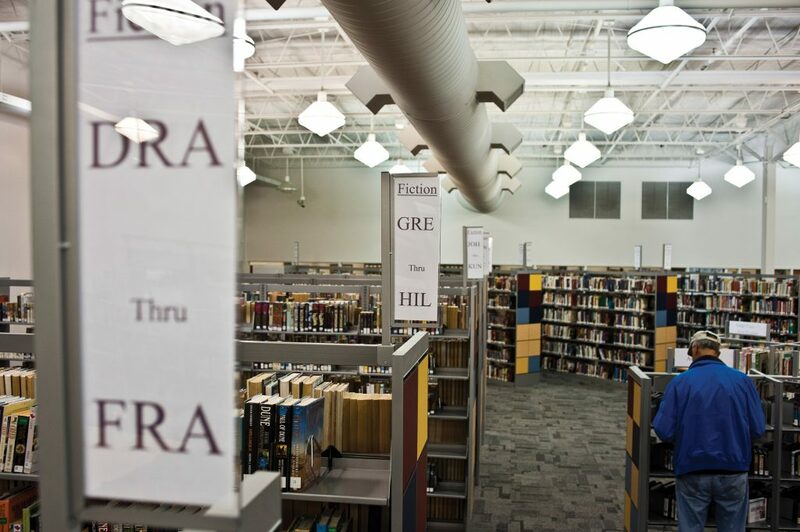 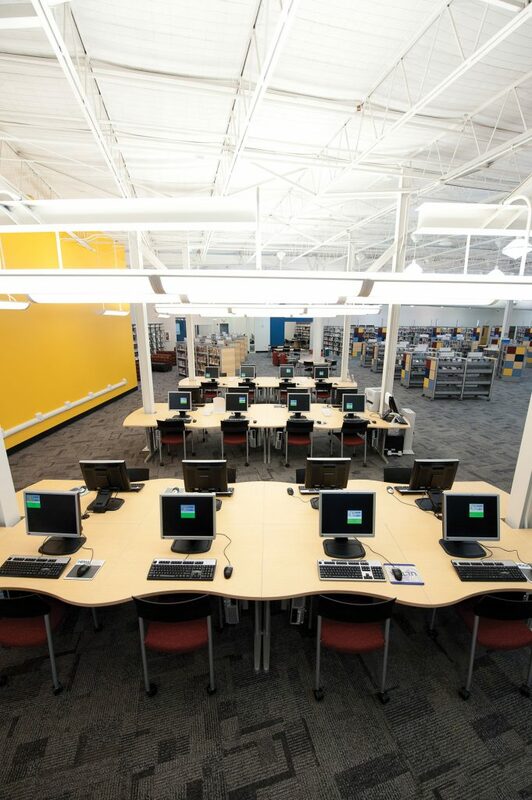 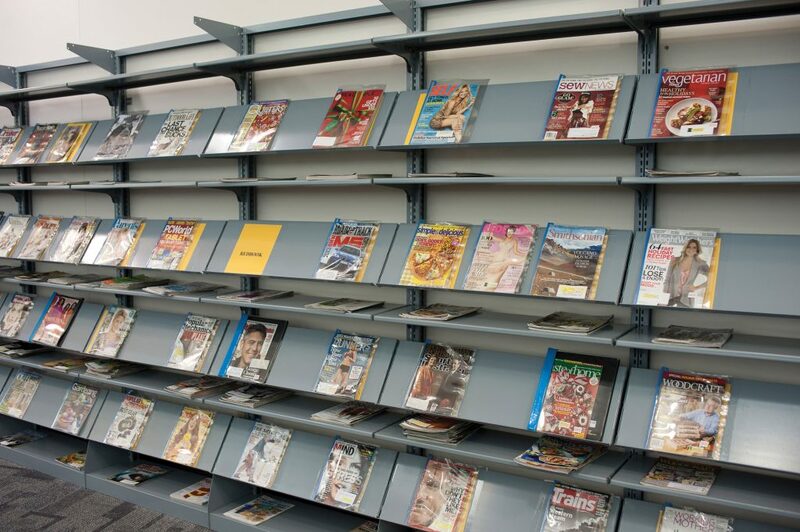 A detailed circulation analysis allowed the library to reduce their book collections, freeing up space that was part of the Adult Services area to enlarge their Children’s Area. 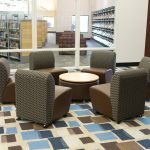 The new children’s space has been carved out and carpeted; the library is working on a fundraising campaign currently and plans to furnish the space in the future. 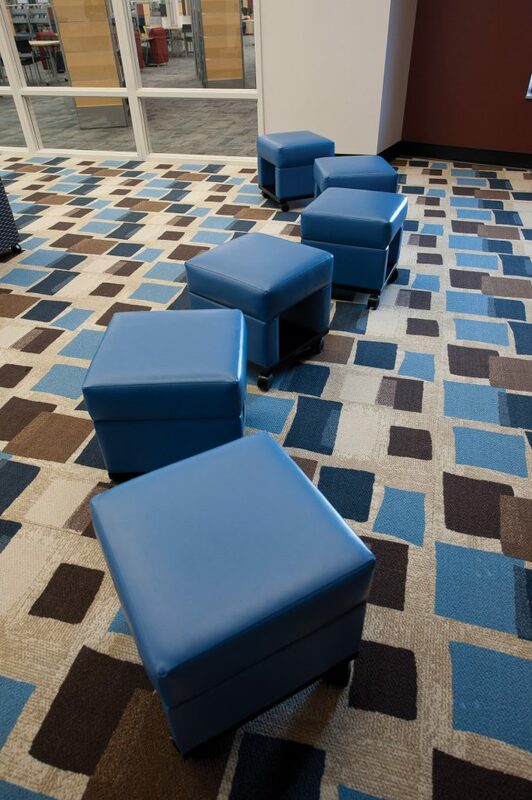 They have planned for a Multi-zone Children’s Area that offers furniture and furnishings to support children of all ages with an interactive learning environment.